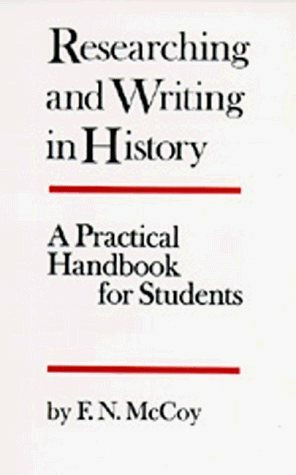 In this handbook the author has analyzed the stages involved in the term research paper from the viewpoint of the time involved in each, the order in which they should be undertaken, and their distribution over the typical twelve-week college or university quarter. by Edwin James Brady - G. Robertson and Co. The body of the material for Australia Unlimited has not been gathered from printed pages, but collected carefully. State by State, mile by mile, year after year, from the wide circle of a continent -- a continent of potentialities still unrealized. This text aims to illustrate how historical novels and their related genres may be used as an engaging learning strategy for student teachers in pre-service teacher education courses. The book examines the traditions in Australian historical fiction. Although tradition has not informed us whether our first parents made any change in their garments on the death of their relatives, it is certain that the wearing mourning and the institution of funereal ceremonies are of the most remote antiquity. Contributions by distinguished practitioners of conceptual history from Europe and America illustrate both the distinctiveness and diversity of the genre. The book is devoted to the origins and identity of the field, as well as methodological issues.